These guys certainly aren’t boneheads when it comes to ribs. For the third year running, Boneheads BBQ has stolen the show. “I think it’s just the care that we take in making everything—it’s all made from scratch,” says owner Cindy Wheatley. “We really take the time and the effort to do it right. 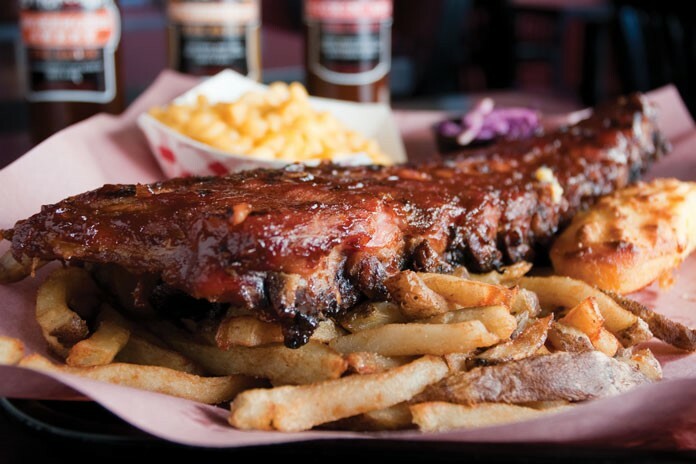 We don’t take shortcuts with any of our barbecue and I think that just shows.” And there’s no denying that one. With a prep time of at least a day—soaking up a secret rub for anywhere between 12 and 24 hours, smoked for up to five hours and then slathered in BBQ sauce for that extra kick—you’ll be lickin’ the bone (and perhaps your plate) with these ribs.